Top players in Umbro exodus - What is next? The English sports-brand Umbro have, in the last year, lost a great number of their front-runners and athletes to competing companies. Especially Umbros former mother-company Nike, have been ruthless in their skirmish through the Umbro ranks and captured a lot of major contracts, but the smaller brands have also been able to lure in a couple of stars. If you turn back time 10-15 years, Umbro was one of the biggest brands in the footballing world and they were the sponsors of a wide and prominent range of players. Good examples include Roberto Carlos, Deco, Alan Shearer and Dennis Irwin, who all wore Umbro in their greatest years, but if we turn our attention to the present, the Brits are struggling to hold on to their profiles. We have taken a look at the biggest loses, in the last couple of years. Jordan Henderson  From Umbro Geometra Pro to Nike CTR360 Maestri III ACC A young and promising talent in English football, Jordan Henderson, quite naturally started his career with Umbro boots. The ultimate match, as the F.A. were also sponsored by Umbro and the young Henderson therefore looked like more than a mere pawn in Umbros plans. He was quickly put in their exciting control-boot Geometra Pro, for which he was a front-figure, but it did not last and we soon saw him training in Nikes corresponding boot, Nike CTR360 Maestri III. The change was completed and Umbro had lost one of their future prospects. Pepe  From Umbro Speciali Pro to Nike Tiempo Legend IV The portuguese defensive rock was one of Umbros most prominent names and started off by representing both the Geometra Pro, in style with Henderson, but then later changed to the classic Speciali Pro. This would, however, turn out to be the last Umbro-boot, which Pepe would represent, when he in the summer of 2012, completed a move to Nike Tiempo Legend IV. At that time, Nike still owned the Manchester-based brand and Pepes switch to their big brother, sparked great debate on their intentions with the significantly smaller brand. Danny Graham  From Umbro Speciali Pro to Nike CTR360 Maestri III ACC In the summer of 2012 would prove to be a very costly period for Umbro, that saw a mass exodus, from their already limited number of athletes. One of the less known, who has risen in the ranks lately, is Swanseas Danny Graham. The classic centre-forward player was for a long time, a man you would always find in the Umbro Speciali Pro, but in the current season, he has been scoring his goals in a pair of Nike CTR360 Maestri III ACC. Yet another example of big bro stealing an athlete, which did nothing to calm the controversy surrounding their intentions with Umbro. 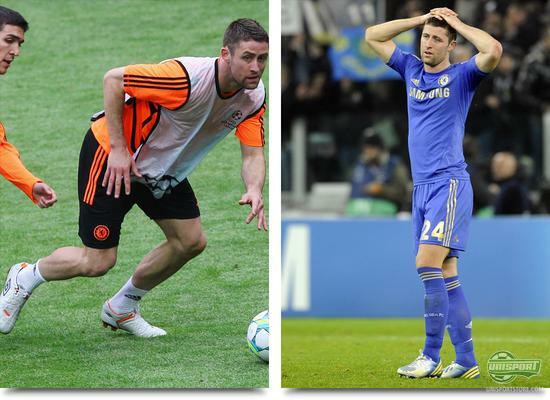 Gary Cahill  From Umbro Speciali Pro to Adidas Predator LZ It was however not just Nike, who wanted a piece of the Umbro Pie. The strong and surprisingly technically gifted Chelsea defender, Gary Cahill, was the epitomisation of the Speciali Pro. This summer it seems, that Adidas' assumingly lucrative offer was too tempting, as he made the switch to their new Predator LZ. He has seemingly not missed Umbro enough to go back and yet another bastion left the brand. 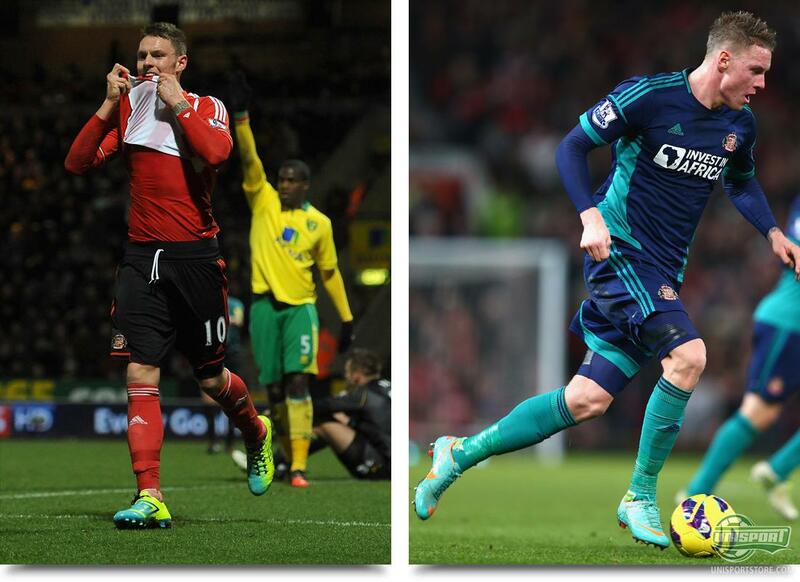 Connor Wickham  From Umbro GT Pro II to Nike Mercurial Vapor VIII This is where the pace quickened. Unfortunately. An otherwise promising future prospect, Connor Wickham, started out his career in the same way, as the player he is most compared to  Wayne Rooney. 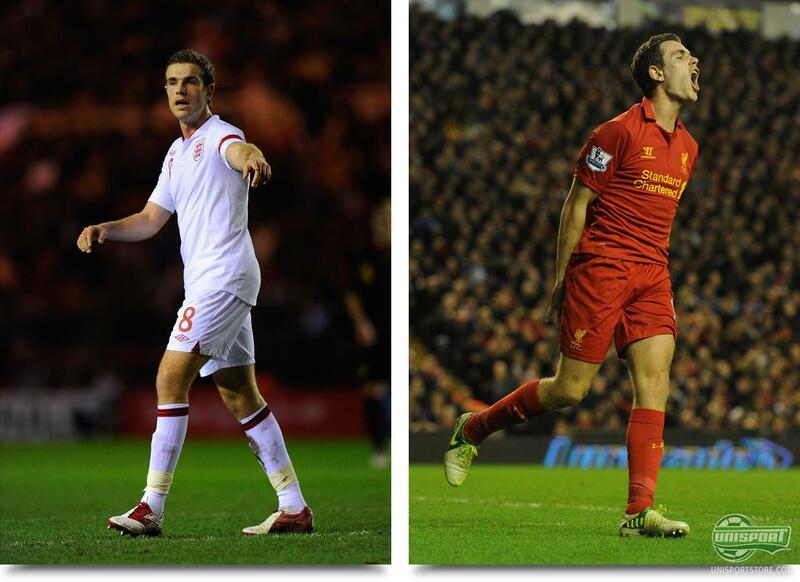 Both their careers started in Umbro, but when they reached a certain point, they both changed to Nike. Sunderlands nr. 10 managed to give the GT Pro II its moment in the sun, but its time was limited, as the Vapor VIII and Nike lured Connor in. Darren Bent - From Umbro Speciali Pro to Nike Mercurial Vapor VIII If there was one man we did not expect to see give up his partnership with Umbro, it was Darren Bent, but on the other hand, we did not see it coming, that Umbro would loose their sponsorship deal with the English national team either. After an already long and memorable career with Umbro, it was to our great disappointment, that we spotted Darren Bent in a pair of Nike Mercurial Vapor VIII, when he recently made his comeback from injury. John Terry - From Umbro Speciali Pro to Nike Tiempo Legend IV This one was probably a little more foreseeable, because in this connection it was Umbro, who pulled the plug. 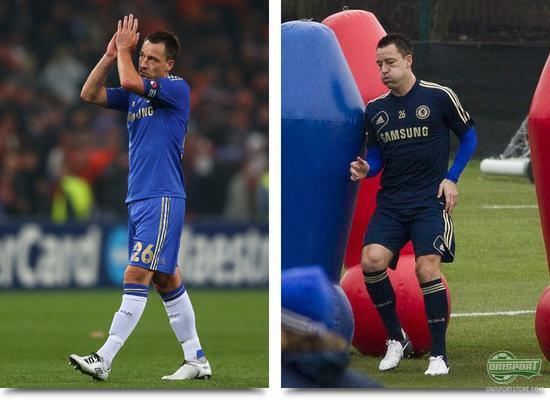 John Terry has been swarmed in scandals throughout 2012 and as one of their most prominent ambassadors for the boot, it was adjudged to be harmful for Umbros reputation to keep him. Once again it was Nike who were quick to swoop in and hand the Chelsea captain a pair of Nike Tiempo Legend IV. Michael Owen - From Umbro Speciali Pro to Nike CTR360 Maestri III ACC We can't remember seeing the former England international without a pair of Umbro-boots on his feet. During his time in Newcastle, he made up a deadly strike-duo with Geordie legend Alan Shearer, who also was an avid user of the British brand. 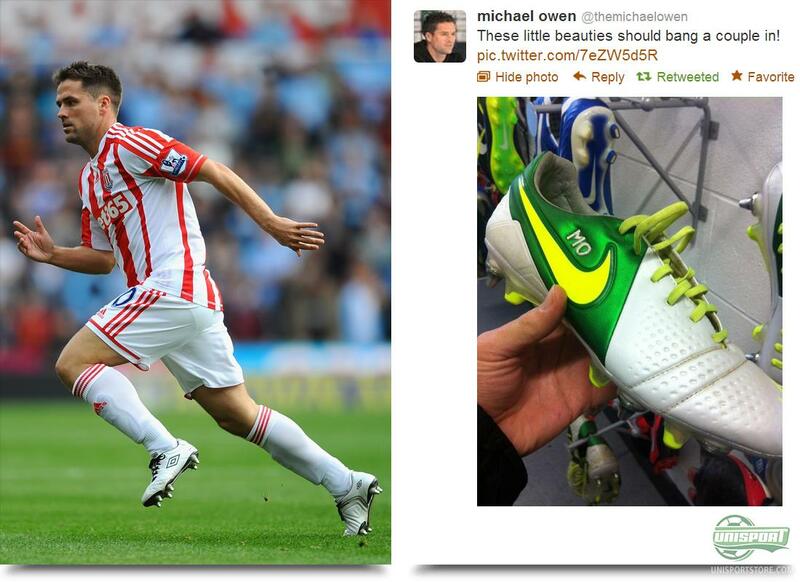 Now it seems, that Michael Owen will be scoring his goals for stoke in a pair of Nike CTR360 Maestri III. Kyle Walker  From Umbro GT Pro II to Nike T90 Laser IV The young wing-back seemed to be quite a capture and man of the future for Umbro, who even had them tailor a pair of boots especially for him. He got his Umbro GT Pro II exclusively with a leather-upper, but not even this could hold him. Very recently he announced, that he would be continuing his trade in pair of Nike T90 Laser IV, even if we had earlier spotted him in training with a pair of Nike Mercurial Vapor VIII. 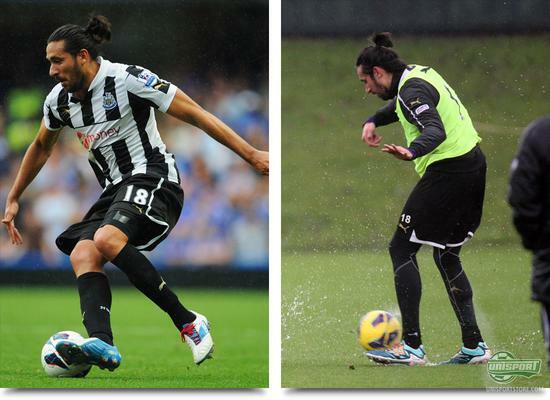 Jonas Gutierrez  From Umbro Geometra Pro to Warrior Sports Skreamer In the end though, the biggest surprise has to be the Argentinian above. Not only did he substitute his Umbro Geometra Pro, which he otherwise seemed very happy with, but he also swapped them out with the new boys on the block, Warrior Sports. An interesting switch, that we are slightly ambivalent to; on the one hand we want to applaud him for choosing Warrior Sports, but on the other hand we are disappointed in him contributing to the downfall of Umbro. It's hard to see, where Umbros future lies. They have reportedly been sold from Nike and should therefore be ready to do business on their own. What do you think about Umbro loosing so many sponsorship deals? Does the future look bleak for the Brits? Share your comments in the box down below.